Two decidedly hot design trends come together in Marazzi’s Fontanella. A color body porcelain mélange of stone and wood seamlessly integrates the finest characteristics of each medium into an open-possibility visual landscape. Some pieces are stone; some pieces are wood; some pieces randomly and masterfully mix sections of each. 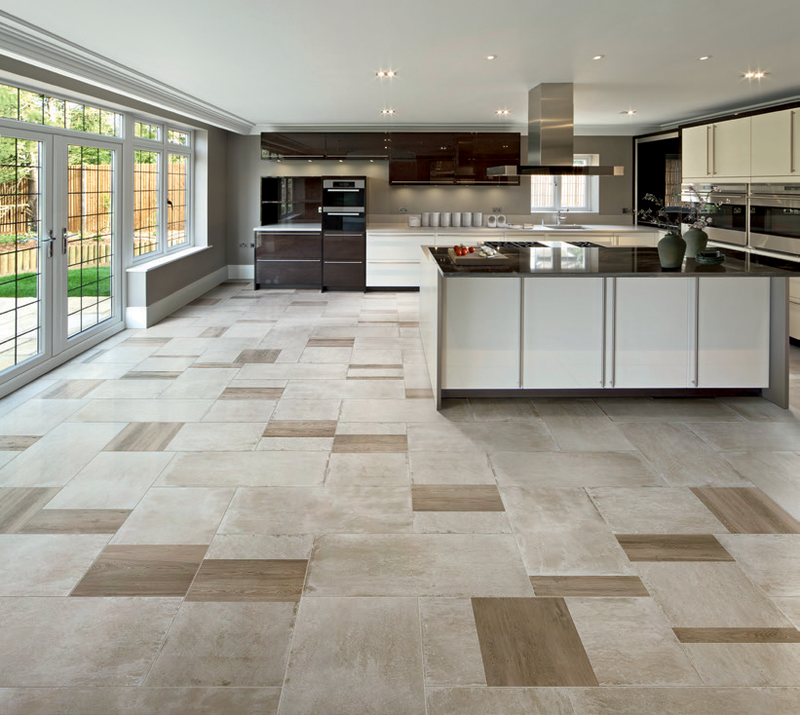 Patterns can be designed to be linear or at right angles, and with side-by-side or staggered tiles. Brianza (left side below) - beige stone tones are complemented by warm, medium wood values, mixing easily with, but not limited to, more traditional decors. Milan (center below) - gray stone hues coordinate with dark wood tones for maximum impact, lending a cooler, even industrial feel, where desired. Monza (right side below) - white stone coloration blends with a light wood look, creating a minimalistic feeling that’s perfect for modern design. For more information about Fontanella, please follow the links to Marazzi's website.